I asked Wendy Pollock and Kathleen McLean, authors of the new book The Convivial Museum, to share a guest post about the book. They collaborated on this photo essay that demonstrates the simplicity and power of their vision and showcases a few images from the book. 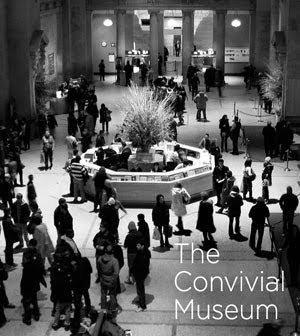 At first glance, our new book, The Convivial Museum, is about the most simple ideas. Museums should make people feel welcomed and comfortable, be gracious and generous, design for a diversity of interests and needs, create situations that increase the likelihood of having a good conversation, and allow the time and space to let people reflect and imagine. “Nothing new here!” readers might say. We found one of our favorite photos on Flickr, taken by Austrian photographer Thom Trauner, who captures the essence of the issue. What a contrast with this image by Darcie Fohrman. Or this one by Lacey Criswell, of Bike Night at the Minneapolis Institute of Art. The quality of aliveness we see in these images is what we call conviviality. We chose the word “convivial” for several reasons. 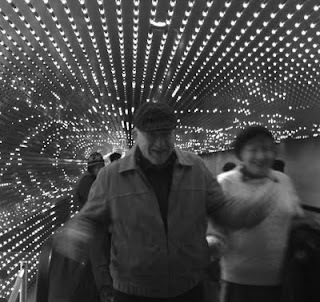 Its roots—together and being alive—characterize what we think is a major role and responsibility of museums: to be places where people can share their common humanity and to offer opportunities not only for learning and social engagement, but also for reflection and solitude in the presence of others. While there are contrasts—like the utter fatigue of the first image and the animated delight in the next two—there are also many shades of gray. Take these beautiful images by California photographer Jeff Voorhees, for example. There’s no “this, not that,” no bullet list of rules to follow. But there is a community of thought that goes way back that we can draw on in our own daily practice. And that’s where this book comes in. That’s why we’ve included so many voices and perspectives in this book. To acknowledge those who struggled to shape these ideas about what a museum should be at a time when they were not necessarily popular as well as those working toward conviviality today. And to reflect in this collage of images and quotations the gritty realities of daily practice. Conviviality is what it means to “be alive together.” In a recent post, Nina quoted Neil Postman’s description of a museum as “an answer to a fundamental question: what does it mean to be a human being?” While that idea may not be “helpful” in Nina’s words, we believe this shared humanity is what has kept museums alive over the centuries. People who work in museums must feel an authentic sense of welcome toward their visitors, and make that welcome evident—from a distance, on the steps and stairs, at the entryways, and throughout the orientation. Being alive together takes many shapes—from participation and social engagement, to being alone and taking time out. Convivial practice is simple, but it is not always easy. 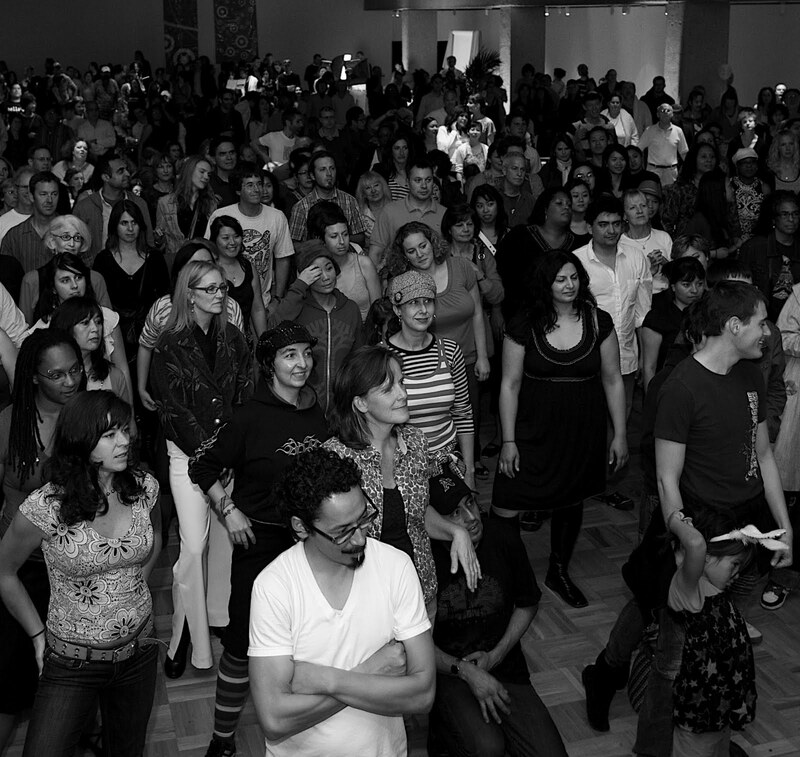 This image of opening night at the Oakland Museum of California, April 2010, is by photographer Daniel Kokin. 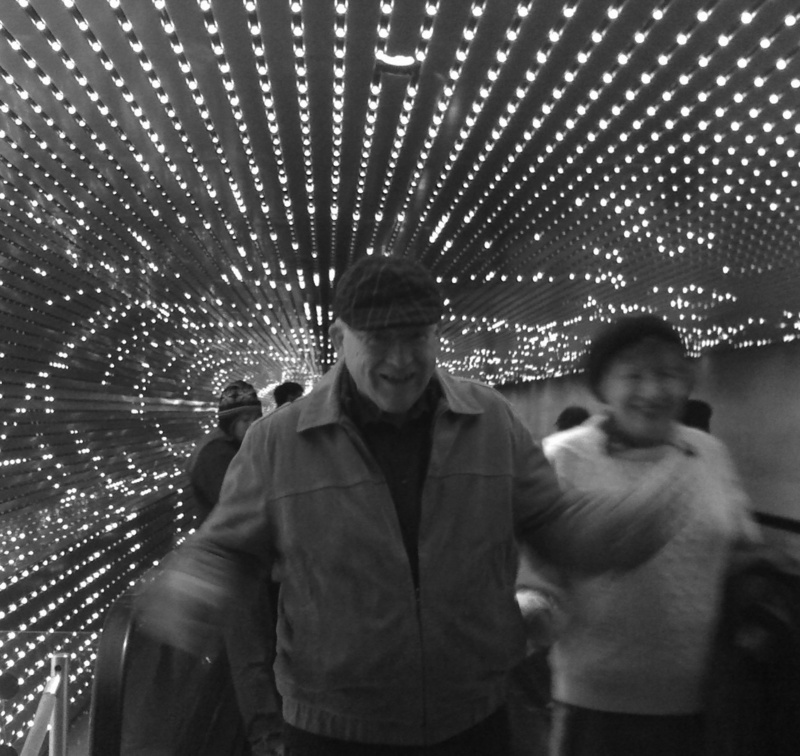 This entry was posted in Art and tagged Convivial, Essay, guest, Museum, Photo, Post. Bookmark the permalink.